It's almost time for the Community Warehouse's 2012 Chair Affair. Last year I created a piece I called the Night Yeti. 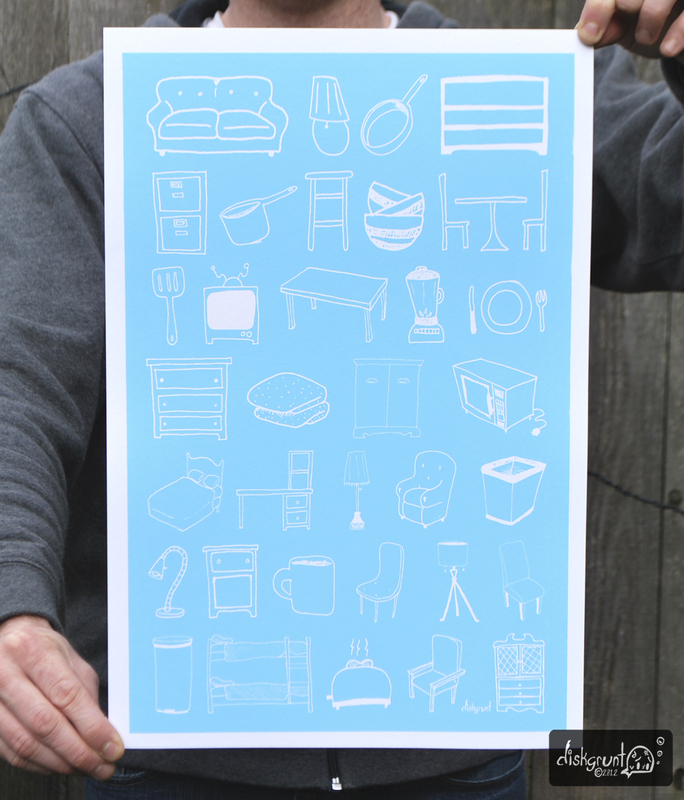 This year I decided to do a limited run of 12 screen printed posters, called "Pieces of Home". Each hand pulled print features several of my illustrations of various items that the Community Warehouse collects from donators, and redistributes to families and persons in need. Each poster was printed using water based non-toxic inks on 12" x 18" French 140lb Construction paper. There is a 1/2" boarder for easy framing and they are signed and numbered on the back. You'll can purchase one of these poster during the Chair Affair Event on March 15, 2012! Be sure to check out their website for ticket details, and to see see all the great work other artist have contributed to their worthy cause.